I started the practice of drinkingdistilled liquids earlier this year, and I have noticed a marked improvement in my over all health. There are 12 essential salts our body's and cells need to function properly, and if your eating a modern diet, your probably not getting the balance needed. This data just further underscores our interconnectedness with all things and given the watering down of Astrology over the Melenia, I find this data particularly intriguing. Thank you Jeremy for sharing this with me! A friend thought the astrological correspondences for the 12 Cell Salts would be an article many would find useful, so welcome to today's subject for consideration. The 12 cell salts are considered to be necessary to our health, and I have found over the years that the salts corresponding to the Ascendant and sign on the 6th house are very important in our biochemical workings. The Ascendant, of course, represents the physical vehicle and therefore the primary chemical makeup of a person. The sign on the 6th house also shows important factors concerning the physical health, since the 6th represents the health of an individual. I've also found that if a person has a stellium (3 or more planets) in a given sign, that mineral salt needs to be kept in the diet regularly, as do the substances ruled by the Moon sign, since the Moon rules our absorption and is active in our biochemical processes on a constant basis. Apart from these few suggestions, there are other astrological factors that show our need for various salts. However, thanks to our fascist AMA, there are some strict laws governing what can and cannot be said regarding our health and what substances we might need. Therefore I cannot offer suggestions in this forum as to what you may need. So that you may get the maximum benefit from this article, in addition to offering you the sign correspondences, I'll also offer you a few foods that are high in certain salts. Obviously there are other foods with these mineral salts in them, so don't confine yourself to what you read here. Please feel free to explore the subject to whatever degree you are called to do so, and if you find that certain salts (or foods) seem beneficial to your health, then by all means find the diet and/or supplements that work for you. Aries - Potassium Phosphate, said to be good as a brain food helpful for nerve and brain imbalances. Foods containing this salt include Parsley, Beans, Beets, Carrots, Linseed Meal, Peanuts, Milk, Buttermilk, Cheese and Avocados. Taurus - Sodium Sulphate,, said to be good in regulating the water supply in the body system, decreasing or increasing it as needed. Foods containing this salt include Cauliflower, Lettuce, Cabbage, Turnips, Radishes, Onions, Egg Yolks, Celery, Brussel Sprouts, Kohlrabi, and Milk. Gemini - Potassium Chloride, said to be good for forming and distributing fibrin throughout the body, thereby moderating coagulation. When clogging occurs, it is associated with sinus and throat problems as well as fibrous growths. Foods containing this salt include Cheese, Egg Yolks, Radishes, Coconuts, Lentils, Carrots, Spinach, Asparagus, and Sauerkraut. Cancer - Calcium Flouride, said to be good for muscle and ligament tonicity, (thus helping prevent muscle prolapsis) as well as healthy teeth enamel. Foods containing this salt include Turnips, Asparagus, Beets, Goat Cheese, Kelp, Garlic, and Pineapple. Leo - Magnesium Phosphate, said to be good for healthy nerve tissue, thus assisting nerve transmission. Foods containing this salt include Cauliflower, Cabbage, Asparagus, Beechnuts, Almonds, Whole Wheat, as well as fruits such as Lemons, Limes, Oranges, Grapefruit, Figs, Gooseberries, Peaches, and Cherries. Virgo - Potassium Sulphate, said to be good for circulation of oils through our body, which supposedly assists digestion and kidney function, as well as excretion of toxins through the skin. Foods containing this salt include Cauliflower, Lettuce, Cabbage, Onions, Celery, Brussel Sprouts, Tomatoes and Cucumbers. Libra - Sodium Phosphate, said to be good for balancing the acid-alkaline function in our bodies, thus helping all acid conditions which affect the nervous system. Foods containing this salt include Cottage Cheese, Eggs, Buttermilk, Brown Rice, Tomato juice, Cirtus fruits and juices, Whole Wheat products, Lentils, Vegetable Greens, Asparagus, and Parsley. Scorpio - Calcium Sulphate, said to be good for building and sustaining epithelial tissue, thus supposedly good for all skin diseases. Foods containing this salt include Cauliflower, Lettuce, Cabbage, Turnips, Radishes, Onions, Egg Yolks, Celery, Brussel Sprouts, Kohlrabi, and Milk. Sagittarius - Silica, said to be good for building and maintaining skin, hair, nails, and nerve coverings, as well as removing decomposed matter from the skin. Foods containing this salt include Endive, Barley, Oats, raw Cabbage, Cucumber skins, Shredded Wheat, Rye and Whole Wheat products, Spinach, Peas, Carrots, Gooseberries, and Strawberries. Capricorn - Calcium Phosphate, said to be good as a bone builder and helpful in any bone disease. Foods containing this salt include Parsley, Beans, Beets, Carrots, Linseed Meal, Peanuts, Milk, Buttermilk, Cheese and Avocados. Aquarius - Sodium Chloride, said to be good for regulating the water supply throughout the body, thus affecting elimination and how "cool" or "hot" we are regardless of the temperature. Foods containing this salt include Onions, Celery, Tomatoes, Almonds, Apples, Spinach, Peaches, Pecans, Lentils, Sauerkraut, Eff Yolks, Swiss chard, and Roquefort and Goat Cheese. Pisces - Ferrous Phosphate, said to be good for transporting oxygen throughout the body, thus aiding circulation which assists the purifying and stimulating of internal organs. Foods containing this salt include Raisins, Prunes, Plums, Grapes, Figs, Oranges, Spinach, Currants, Mushrooms, Dates, Beets, Wheat Bran, and Lima Beans. - it was NOT altered nor adjusted in any way !!! - the best testimonial is a personal experience !!! that i have discovered a few secrets that work wonders. Simply stated, that is just half your body weight in pounds, in ounces. Thirdly, i try to drink most of the water, as, early as possible in the day, and, always drink a big glass of water before i go to sleep. - if you need to drink something cold, drink it alone without food. and, it keeps you healthy. or, the other option, or part that went along with the program !!! and, FIRM UP which are both, Images aka Moderne aka Neways products - which are affordable, effective, natural and safe !!! - it is what causes the natural oils etc. to harden & get stuck in you !!! DRINK only 'hot' beverages when you are consuming food !!! & it will work hard at breaking down & exploding your stored fat cells. AFFORDABLE - EFFECTIVE - NATURAL - and SAFE SOLUTIONS to frustrating personal care problems !!! Neways International is a debt-free, privately held company with annual sales over 400 million and 700,000 square feet of offices, warehouses, and manufacturing facilities. Neways currently has a presence in over 40 countries, with new countries launching annually. The founders, Tom and Dee Mower, realized hat many of the ingredients used in traditional cosmetics and personal care products were inferior - and potentially dangerous. in supplying the products that people really need and deserve. Professional Sports Teams, and unknown amateurs all around the world. contains the 8 leading technologies in the world !!! The Newbrite line of household cleaning products. A safe line of color cosmetics - including mineral foundations. Ming Gold aka Cordeyceps - cordyceps sinensis - the magic mushroom. You can always get your NEWAYS products as a perferred cusotmers at wholesale costs. University of Illinois Medical Center at Chicago, and The Chairman of The Cancer Prevention Coalition. he strongly advocates the use of consumer products that are free from known or suspected carcinogens. its safe to use anywhere. - Firm Up’s powerful mix of botanical ingredients that are scientifically proven to firm and tone, will make you look more sleek. botanical ingredients where they need to be to ensure firm, smooth looking skin. sometimes your skin can have an unflattering texture as you work to lose that extra weight. Firm Up will help you revitalize your body so that you look your best. Every day, skin tissues are bombarded by the environment, and aging causes the skin to lose efficiency in cell turnover. You can’t avoid skin aging, but you can hold it at bay. You can reduce the appearance of wrinkling through proper nutrition and by using skin hygiene products that support the skin’s natural protective processes. Wrinkle Garde’s wrinkle-fighting formulation is based on both traditional and scientific skin care therapies. Wrinkle Garde™ contains rose hips oil to soothe and moisturize with a nurturing blend that also includes vitamins E and A. This product protects and nourishes the skin, helps amplify the skin’s collagen levels, and delays the appearance of skin aging. This product works to eliminate scars !!! Apply to lined areas and massage in well. For best results, use morning and evening followed by Resurrection Bio-Mist™. TrueTouch® Bio-Mist Hydrating Activator is a refreshing facial mist that moisturizes, soothes, and tones the skin. transporting moisture and nutrients while supporting skin’s Natural Moisturizing Factor. Mist a moderate amount on clean face, hands, and other desired areas. Can be gently massaged into skin. Additional mist can be applied after other TrueTouch® skin care or cosmetic products. Follow with the step #3 Target products for your skin concerns or step #4 Protect AM or Renew PM. with smooth, healthy-looking skin—all with a safety-conscious and effective formula. Skinny Dip targets dimpled skin, smoothing and improving the appearance of your skin, all with a blend of potent botanicals. Sometimes your skin can have an unflattering texture as you work to lose extra pounds. Skinny Dip will help you revitalize your skin so that you look your best. Eleuthero Root Extract (Siberian Ginseng)—Smoothes the appearance of the skin. Centella Asiatica Extract (Gotu Kola)—A complex of actives that targets dimpled skin. Methyl Lactate—Cools and soothes your skin. Nelumbo Nucifera Leaf Extract (Indian Lotus)—An ultra-powerful extract that targets dimpled skin. Shea Butter—Moisturizes and smoothes your skin for a beautiful appearance. Twice daily, apply a desired amount to clean skin and massage in smooth circular motions until cream is completely absorbed. If you can NOT use grapefruit, use lemon. If you can NOT find a Tangerine, use an Orange. they say the longer it sits, the better it tastes. so that is a personal choice. and the cucumber makes you feel full. Try it for 10 days and see what you think! Wash grapefruit, tangerine cucumber and peppermint leaves. Slice cucumber, grapefruit and tangerine (or peel). Combine all ingredients (fruits, vegetables, 8 oz water, and ice) into a large pitcher. In my personal opinion, I peeled the citrus fruit only so I didn't have the bitter taste of the peel! Each person should try it and see which way the like it best. and 1/2 gallon hot/warm water and pour over walkways. They won’t refreeze. No more salt eating at the concrete in your sidewalks. 12 Remove about 1 inch of petals from center of onion (You can place the cut onions in cold water for a few hours to help "open" them up -- just make sure that you drain them well). 1. soften rough feet- For the softest feet you've ever experienced, try the before bed routine: rub down your feet with vegetable oil , then put on your socks. when you wake up the oil will be gone and your feet will be amazingly soft! 2. deodorize your freezer- add a shallow bowl of freshly ground coffee, uncovered, to your freezer. leave for a few days and any funky freezer odors will be gone! 3. glass dishes- to remove baked on stains from glass casserole dishes, fill it with water and add two tablets of alka-seltzer or denture cleaner. leave for an hour and the stains will be gone! 4.removing ink stains- make a paste of cream of tartar and lemon juice, and dab at the stain. let it sit for five minutes , then clean with a damp cloth. 5. scuff remover- to remove scuff marks left on your floor by dark-soled shoes, rub some baking soda into the spot with a wet rag. they will dissappear! 6.shower caps in the kitchen- plastic wrap is perfect for covering bowls of rising dough, but if you leave the room for too long the dough will push the wrap right out leaving it open and susceptible to germs. solve this problem by switching out to a plastic shower cap. the elastic will fit perfectly over your bowl, and it will stretch just enough to allow expansion. 7. makin bacon- always rinse bacon under cold water before frying-- it will reduce the amount the bacon shrinks when cooked. 8. mirror makeover- for a unique cleaner for the mirrors around your home, use aerosol air freshener. it will bring your mirrors to a glossy shine and will have people wondering where that flowery scent is coming from! 9. easy toilet bowel cleaner- for a cheap and easy way to clean your toilet, use mouthwash. just pour 1 capful into bowl, leave for 15 minutes and wipe clean with the toilet brush! 10. shiny counter-tops- for a scratch free cleaner that will make your counter-tops sparkle, apply club soda with a moist sponge. 11. lampshade lifter- dust your lampshades using a fabric softener sheet and their static fighting properties will keep the shades cleaner for longer. 12. remove old stickers or labels- to remove the gummy remains of label or sticker on glass or a mirror cover it in mayonnaise and let sit for 5 minutes, then scrape away. 13.get rid of greasy fingerprints- believe it or not, a good way to get rid of those pesky greasy fingerprints on walls is to rub the area with a piece of white bread. 14. ceramic tile- the easiest way to clean ceramic tile is with rubbing alcohol. 15. scratch eraser- for tiny scratches in your wooden table or floor, rub vegetable oil or canola oil into the surface. the oil will darken the area and help it to blend in. 16. keep milk fresh- keep your milk lasting longer by adding a pinch of salt to it after opening! 17. hangover? rub honey on crackers and eat!! IT will help replenish what your body has lost! 18. keep dandruff away- crush a couple aspirin and add them to your normal shampoo. just make sure to let the shampoo sit on your hair for 1-2 minutes before washing out. 19. make perfume last longer- before putting on your favorite perfume rub a bit of petroleum jelly on your skin, it will help keep the fragrance from fading! 20. quickly ripen tomatoes- to bring already picked tomatoes from green to red, place them in a closed paper bag with an apple. Can you imagine the looks you would get serving this delicious roast!!! Preheat oven to 450. Season roast. Place roast in oven for 15 min at 450, then reduce to 350 and cook for 2 ½ hrs. Once roast is done, cover with tin foil and let rest. Add butter and apples to pan and sauté for a few minutes. Add apple juice and stuffing mix. Stir and remove from heat. When ready to serve add stuffing to center of crown roast. You can also take drippings from the roast and make gravy by adding cornstarch and apple juice. A medley of exotic spices plus coconut milk and banana add complexity and rich flavor. and sauté until vegetables are soft, about 10 minutes. Discard bay leaf. Transfer mixture to processor and blend until smooth. Return mixture to pot. Add broth and all remaining ingredients except cilantro. Boil soup over medium-high heat 15 minutes to blend flavors. Cool slightly. Working in batches, puree soup in blender until smooth. Return soup to pot. Season to taste with salt and pepper. Bring soup to simmer. Divide among 8 bowls. Sprinkle with cilantro and serve. * Canned unsweetened coconut milk is sold at Indian, Southeast Asian, and Latin American markets and at many supermarkets. Preheat oven to 400°F. Reshape crust edge to form high-standing rim. Bake crust until browned, pressing bottom and sides of crust occasionally with back of fork, about 14 minutes. Cool crust on rack. Reduce oven temperature to 350°F. and allspice in large bowl to blend. Whisk in eggs. Pour into crust (some filling may be left over). Bake pie until filling is puffed around sides and set in center, about 55 minutes. 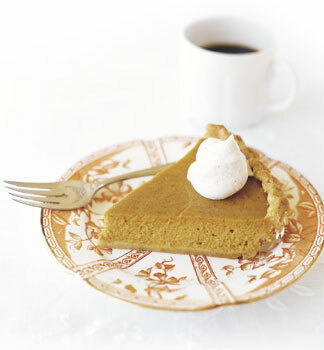 Beat whipping cream, sugar, 1/2 teaspoon cinnamon, and 1/4 teaspoon ginger in bowl until peaks form. Spoon large dollops around edge of pie and serve. Combine flour, baking powder, baking soda, salt, white sugar and grated orange peel. Stir in orange juice, 1/2 cup melted butter, eggs and chopped nuts. 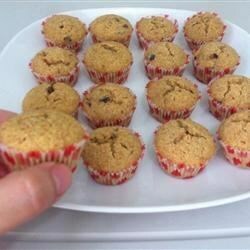 Blend 1 tablespoon melted butter, 1/4 cup brown sugar, 1/2 teaspoon cinnamon and sprinkle on top of each muffin. Bake in a preheated 350 degrees F (175 degrees C) oven for 20-25 minutes. Serve hot. So last night Evan (11) was keeping everyone awake with his cough. I got up, went to the kitchen and sliced a purple, make me cry onion, at 3am. I got some snug socks and put it on the bottom of his feet. To boost my own immunity, I decided to try this too. During the rest of the night, I started feeling good. I mean really good! I felt tingly, like my blood was being cleansed. It was so cool! Grease and flour 13- x 9-inch (3.5 L) metal cake pan; (or 2 round pans) set aside. In large bowl, whisk together flour, baking powder, cinnamon, baking soda, salt and nutmeg. In separate bowl, beat together granulated and brown sugars, eggs, oil and vanilla until smooth; pour over flour mixture and stir just until moistened. Stir in carrots, pineapple and pecans. Spread in prepared pan.